Two intrepid and artful individuals shoplifted almost $2,000 worth of clothing by stuffing it all inside their own clothing, according to a Marana Police Department report. A police officer responded to a Tommy Hilfiger Outlet store in Marana, where an employee said two short, heavyset women dressed all in black had casually entered the store—one with dark hair and one with lighter hair. As the officer could see on the security-camera videotape, both women headed straight for a display table stacked with men's button-down dress shirts and stood behind the table, positioning themselves with their backs to the wall, facing the rest of the store. 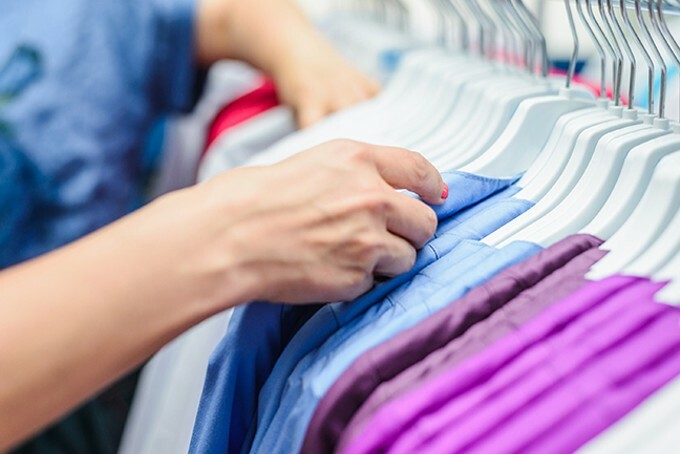 While the light-haired woman stood up straight and watched the store, the other kneeled down and started pulling shirts off the table and "manipulating" them—obviously removing their security tags—and then cramming them up her own shirt one after the other. Even after her own shirt appeared "full" of stolen shirts, she kept going, stuffing more shirts down her pants, and then cramming yet more underneath an open black jacket, which she zipped up once it, too, concealed a thick layer of stolen shirts. The light-haired woman also stuffed shirts beneath the clothing she was wearing while her dark-haired accomplice stood on the lookout. The tape showed both women then wandering to the back of the store to look at some jeans and other clothing before they went back to the display table with the shirts, where the dark-haired woman proceeded to stuff even more clothing "up her shirt and down her pants." The employee told the officer the women had stolen at least 27 articles of clothing worth as much as $1,800. Unfortunately for the store, the wily women had also escaped cleanly—police hadn't located them at the time of the report.